Have you ever feel exhausted in keeping up with today’s competitive environment while still need to juggle with your daily routine? Our Mini MBA Program prepares you to become a better executive who is ready to bring current strategies to a higher level and transforms you to become an effective and stress free professional. Apply now to the Mini MBA September Class! 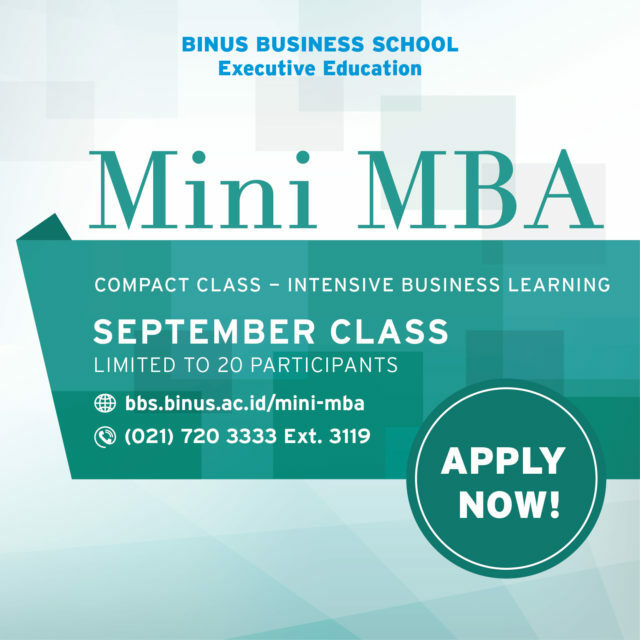 More info, visit http://bbs.binus.ac.id/mini-mba/ or contact (021) 720 3333 ext. 3119.